The event has 3 courses. A 12.5K partial trail run up and over Fitch Mountain, a 10K around Fitch Mountain and a relatively flat 3K around town. 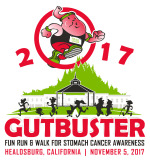 Come join us for a family fun run and walk in beautiful Healdsburg, California, Sunday, November 5, 2017, 8:00 a.m.
We will be donating 50% of all net profits this year to the North Bay Fire Relief Fund. Along with supporting stomach cancer awareness you can support those that have suffered loss from these horrific fires that are occurring right now in Northern California. The event will include 3 courses. A 12.5K partial trail run up and over Fitch Mountain, a 10K around Fitch Mountain and a relatively flat 3K around town. Event check-in is at the Healdsburg Downtown Plaza, corner of Matheson and Healdsburg Avenue. Start and finish lines are near this location. 3K - This is perfect for families, small children and strollers. 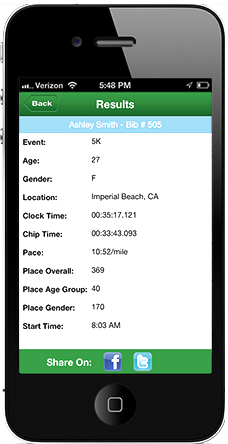 The course is relatively flat and goes through the town. Dogs on leash are allowed on this course only. 10K - This course goes up and around Fitch Mountain with views of the Russian River. It Includes uphill and downhill along some flat areas. 12.5K - This gut-wrenching course goes up Fitch Mountain by road and then continues up a fire road/trail nearing a 900-foot elevation gain. At the top you have views of the Russian River to the south of Healdsburg. The course then contines down a road into town. Children 5 & Under with a paid adult are free (not chip-timed and T-shirt purchase is optional). Youth ages 6- 12 - $10.00 (T-shirt purchase is optional). Youth ages 13-17 - $20.00 (T-shirt is included). Adult ages 18 & Over - $40.00 (T-shirt included). T-shirts and sizes are limited and only guaranteed to those that register by October 14th. All others are on a 1st come 1st served basis at packet-up and race day. All fees are non-refundable and non-transferable. This delicious breakfast is at the Bear Republic (345 Healdsburg Ave.) served by some of our local heroes. Menu includes pancakes, sausage and eggs. Pre-purchase tickets are available during your registration process. Adults are $10. and Kids 10 & under $5.